Italian food is one of my favourites. I love pastas! 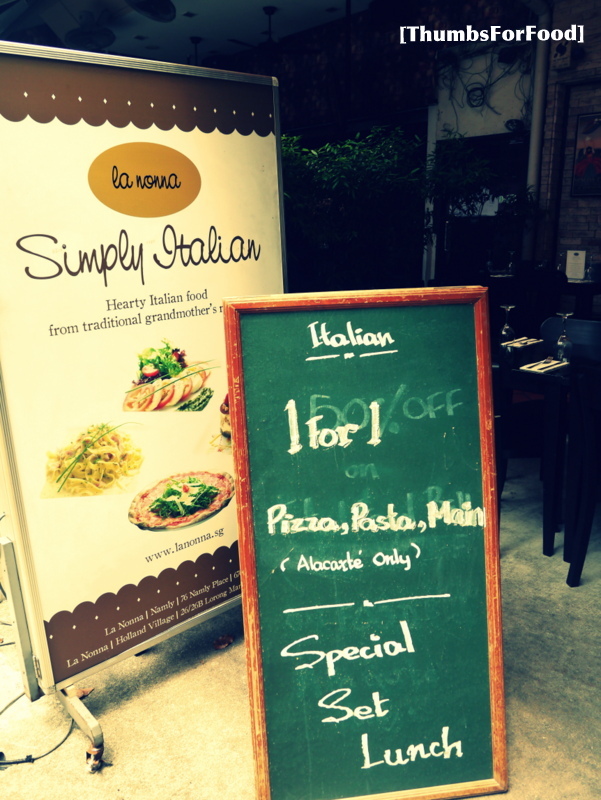 When I heard about the 1-for-1 lunch promotion, I knew that I had to visit this restaurant. 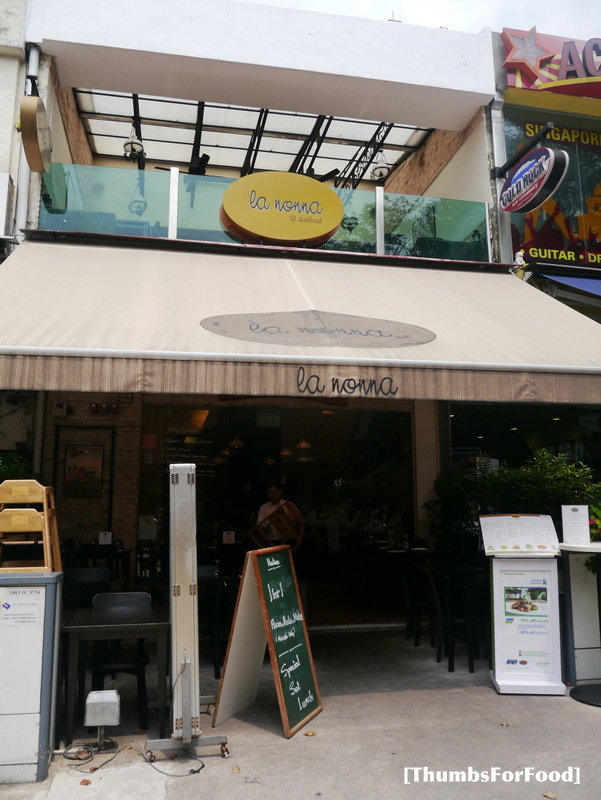 La Noona actually means grandmother, so they serve Italian food with a family taste to it. Everything on the menu is up for the promotion so it is really a good deal. Yes, everything including appetizers and desserts. Bread to start off our meal. Capellini $21. Capellini pasta with clams in white wine sauce. I felt like having something different that day and so I decided to try this dish! But, it is a little on the bland side. I wouldn't try this again next time though! Linguine $21. Linguine pasta served with crab meat in Tomato cream sauce and fresh basil. This is one of their recommendations for pasta. I really like this! It is flavourful and the crab meat goes well with the tomato cream sauce as well. Definitely a must-try! Other than the Linguine, the waiter also recommended us the Spaghetti (Spaghetti Pasta with mixed seafood served in traditional squid ink sauce. I will definitely try this the next time I visit the restaurant! In the end, we paid around $12 each which was a real bargain for the pasta we had. Have a try at their desserts also!